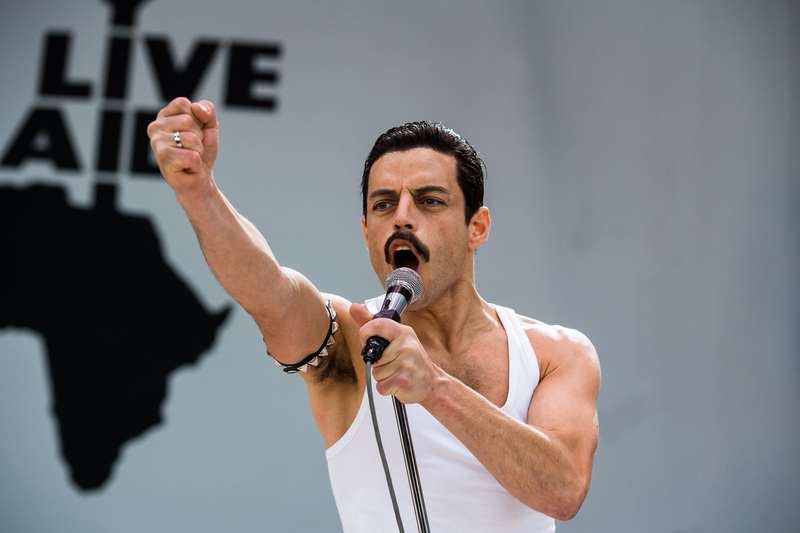 Within the Freddie Mercury biopic lies a step-by-step plan for becoming your most authentic self. Sometimes accepting who you truly are means shedding the identity you were assigned at birth to arise anew. For Mercury, that meant abandoning his family name and all the constraints it imposed on him to emerge the flamboyantly liberated and liberating artist he became. Studies indicate that being oneself — even when it sets us apart from the herd — relates positively to well-being and life satisfaction. “Bohemian Rhapsody,” Queen’s five minute and 55 second 1975 masterpiece, is recognized as incomparably original in the world of music — a mixture of opera and rock — the likes of which we’ve never heard again. Although many naysayers turned their thumbs down when they initially heard it, Mercury and his co-creators didn’t surrender to even the slightest bit of uncertainty. In fact, when Queen’s record producer in the film, Ray Foster, played by Mike Myers, insists that the sprawling number can’t be the single from the album Night at the Opera because no radio station would play it, the group dumped him. Even Elton John, a contemporary of Mercury’s, who’s the subject of a forthcoming biopic, contemptuously asked their mutual manager who played it for him: “Are you f*cking mad?” declaring it too lengthy and outlandish for radio. Today, it is widely considered one of the greatest rock songs of all time — Rolling Stone readers called Mercury’s vocals on the epic the best in rock history — and the promotional video that accompanied the song’s release provided the template for MTV seven years later. In 2004, “Bo Rhap,” as fans call it, was inducted into the Grammy Hall of Fame. Filmmaker Bryan Singer presents Mercury’s father as having been disappointed with his son’s penchant for nightlife and theatricality, urging him over and over again to get serious about his life and follow his refrain: “Good thought, good word, good deed.” Mercury ends up living by his dad’s words, but in his own way. In one scene, the frontman tells a potential manager that Queen is the champion of the oddball: “[We’re] misfits who don’t belong together playing for the other misfits. The outcasts. The ones right at the back of the room. Who are pretty sure they don’t belong either. We belong to them.” His good thought, word and deed, in other words, is for them — the stigmatized, marginalized and misunderstood. Mercury’s father finally seems to recognize that his son has lived up to his expectations in their last interaction on screen. Mercury goes home to introduce his family to his boyfriend, Jim Hutton, who remained his partner until the singer’s untimely death from AIDS-related complications at 45, and tell them about his plans to attend a charity concert (Live Aid) to raise money for famine relief in Africa. “Good thought, good word, good deed. Just like you taught me, Papa,” he says to his father as he’s preparing to leave. In the most moving scene in the film, his father replies by walking over to him and clutching him in a deep, emotional embrace, saying it without saying it — that he finally sees him and acknowledges all he’s accomplished as a man and an artist. The day before he died on November 24, 1991, in a final act of kindness, Mercury helped spread awareness about the virus that took his life by publicly declaring his status. While most of us won’t become legendary rockstars, Mercury’s life offers a bold blueprint for how we can move in the direction of our dreams with greater originality, confidence, and authenticity.